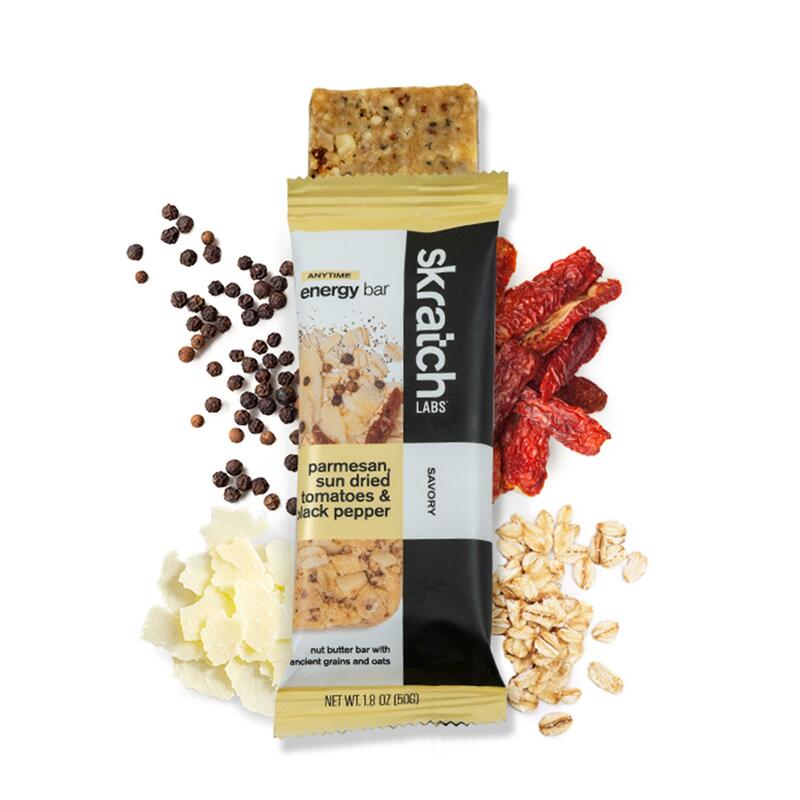 For years professional athletes who rely heavily on energy bars to fuel themselves in training and racing have complained that the bars they ate were too dry, too hard to chew, sat in their bellies and guts like bricks, and just didn’t taste good. 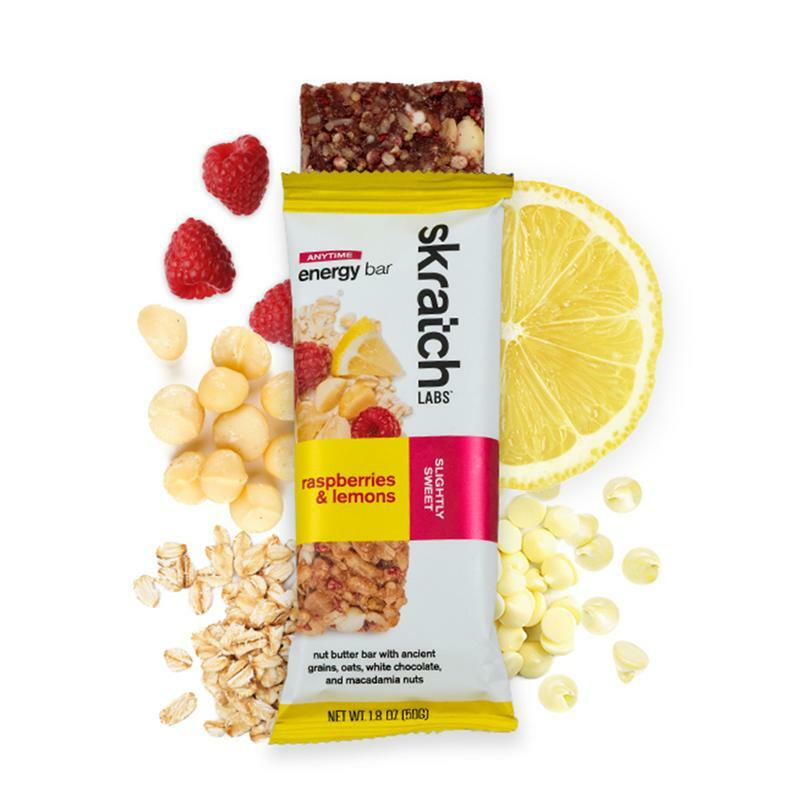 Skratch Labs took that feedback and challenged themselves to make something better, and to help athletes be better. The outcome? 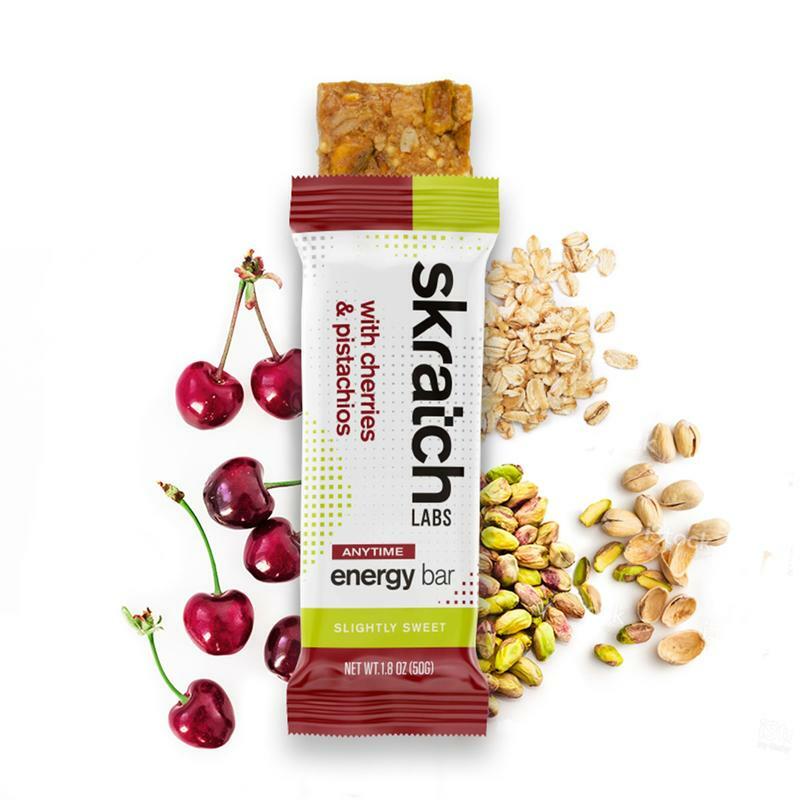 Skratch Labs Anytime Energy Bar. 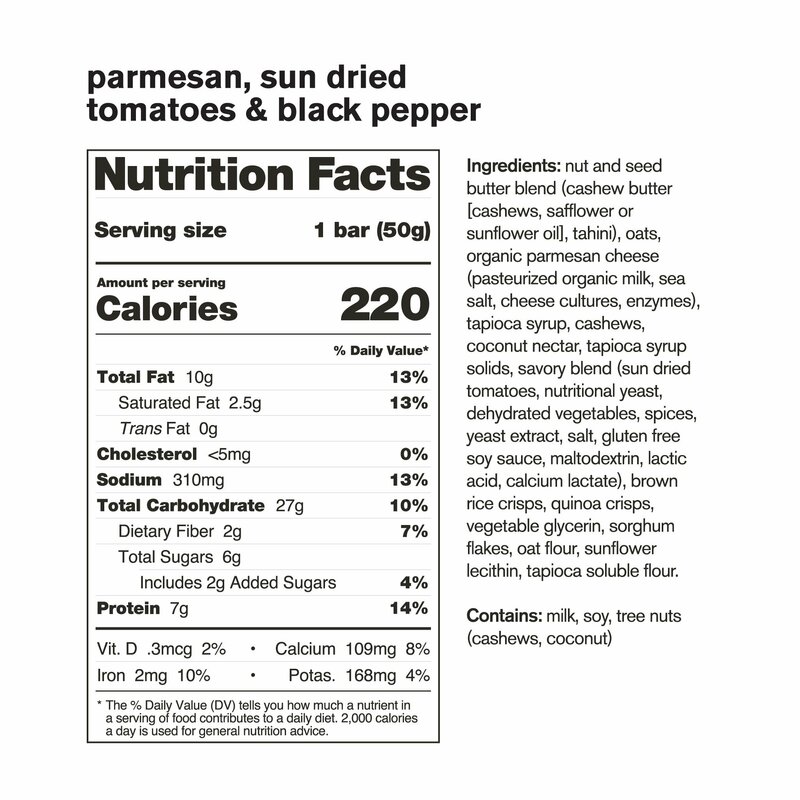 We brought in three new flavors: Cherry Pistachio, Parmesan, Sun Dried Tomatoes, & Black Pepper, Raspberries & Lemons.